What on Earth Is Wrong With China's Stock Market? Whatever the reasons for the recent crash, it is time for the Chinese government to understand the power of market forces. In a strange fashion, the whole world’s attention is now focused on China’s stock market—an unlikely event given China’s tensions with other countries over the South China Sea. While different pundits offer different opinions about China’s recent stock market correction, one thing is clear: this problem is getting very serious and it will have political consequences. Why did the market drop so much so quickly? There are many likely reasons, including technical, economic, psychological, and political ones. It is too early to declare the death of China’s bull market, however, as the Chinese government still has many tools in its toolbox to fix the market and strengthen investors’ confidence. In a way, the market crash is insignificant if we focus on the real economy in China. The problem, reflected by this ongoing stock market crash, is twofold. First, the fundamental question is what is the real role of the stock market in China’s economics and politics? There is the Western stock market, and there is the Chinese stock market. The two are actually different in many fundamental ways. 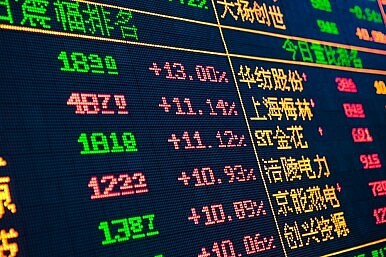 In China, the stock market is not merely a tool for reallocating valuable resources to help firms create and expand; it is first and foremost a tool of government legitimacy building. In that sense, the stock market is a tool for the government to maintain economic growth, which is a key foundation of the government’s legitimacy. In recent years, however, because of the lack of institutional oversight, China’s stock market has also become an ATM for the country’s rich and powerful interest groups to transfer wealth from ordinary Chinese people to their own pockets. Corruption is a deep problem in all of this. Rarely has any Chinese company received serious punishment for faking data and bribing officials within China’s Securities Regulatory Commission. If this is allowed to continue, then there is little hope for China’s stock market to play a healthy and effective role in channeling money to firms that really need it. The second problem is the appropriate role of government in China’s economic development. Right now, a huge problem for the Chinese government is whether or not to intervene in the market and determining precisely how much intervention is enough to be effective. There is no question that the stock market at its previous high was a bubble, but, to a certain degree, a bubble is tolerable for a stock market like China’s. To burst the bubble to prevent an even bigger bubble in the future might sound like a smart idea, but can authorities control the pace and the inevitable bursting without hurting investors’ confidence? Already we are witnessing a panicked feeling among Chinese investors and this could spread to China’s economic reforms, including President Xi Jinping’s political reforms. The right lesson to be learned here is to not overestimate the power of government intervention. It was a bad idea for the government to prop up the stock market in the first place; it is a even worse idea to think that the government could control the pace of stock market development and decline. The economic and political consequences of the ongoing stock market drama are still uncertain. This is not the end of China’s bull market and it is certainly not the end of China’s economic reforms. Nonetheless, there are many valuable lessons to be learned here by the Chinese government, retail investors, regulatory authorities, and other countries as well. No country can escape financial crisis (as the United States is well aware). China will not be an exception. In this sense we do not need to overreact to a normal crisis. What is important is to develop sound institutional oversight to make sure a financial crisis does not turn into a broader and systemic economic crisis or even a political one. China simply cannot afford one like that. If the Chinese government cannot draw the right lessons from this mini crisis, then the China dream might also drop like the stock market now.